Its good for spamming you another email IT IS!! So the next one I have The Sangkiltons. Its been nice to spend the whole of your cashes by putting out friends’ music. 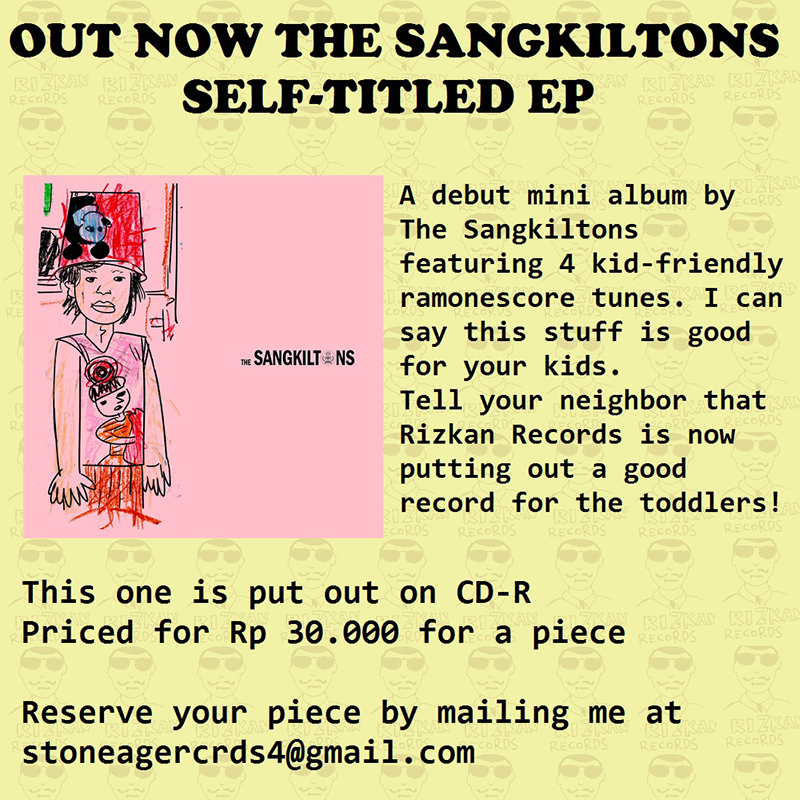 So yes to speak about The Sangkiltons is… Its a ramonescore band! BUT these lovely dudes not gonna sing about girls or booze. Yes they are about to bring a kid-friendly tunes to you but I’m sorry these songs were made in bahasa this time. But we’ll put your demand next time for an english spoken one dont worry! I can say… They’re the first one to do this locally but if you love Dan Vapids or Keepie Ghoulie doing songs for the toddler, this one is fit to describe the thing! Any publishing thing would a matter! Please hit me up if you want me to send the materials digitally.